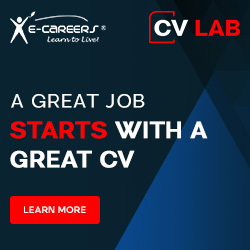 Start your new career in this exciting industry or boost your current knowledge to improve your prospects for a successful career in this field. Retail Management is a fast–growing career field with many lucrative opportunities as the needs of the consumer have now produced an amazing variety of retail outlets, all of which require organised managers. Become an aspiring Retail Manager by mastering the art of enticing customers into the store and fulfill their buying needs. Furthermore gain adequate skills to make shopping a pleasurable experience for your customers and ensure that they leave the store with a smile, wishing to return, increasing customer retention rates. This programme consisting of 12 information packed modules will be studied and completed online, enabling you to learn anywhere at anytime, using a device of your choice. Retailing is a dynamic industry, comprising a vast variety of sectors and home to some of the world's biggest companies. A qualification in Retail Management can lead to a career in supervisory, client communication; merchandise shipment, sales, management and administrative services. This course will provide you with knowledge in the field of Retail management, whether you are just entering the Retail Trade through establishment of a small business, or are looking for further study in management at a higher level in the retail organisation. Gain an overview of the Retailing sector and discover who is seen as a retailer. Explore the difference between a department store and a discount store and establish the types of service within a retail outlet. Explore the most important aspect of running a small business and discover the 4 specific stages of the business cycle. Look at product assortment for speciality stores and understand pricing structure strategy for discount stores. Understand what is meant by a "franchise". Discover how population trends within families influence retail patterns and recognize how economic trends influence retail patterns and the recent changes in the location of retail outlets. Explore the cultural trends that influence retail patterns and establish the most significant technological trend that influence retail patterns. Understand the importance of layout, shop frontage and first impressions, also recognise why signage is important when internally planning layout of premises. Learn the importance of service areas with regard to cross merchandising. Understand the main procedures for the receiving function and why it is important for deliveries to be checked against the received invoice. Recognise the need for in store security and seek solutions to reduce theft of stock by staff as well as establish strategies to counteracting theft of stock by customers. Distinguish the relationship between merchandising and stock grouping and recognise why you formulate a merchandising plan. Understand the purpose of a fire plan, determine where fire extinguishers should be placed and explore the most important measures, which need to be taken to prevent a fire. Learn the benefits of good house keeping and the importance of safety for the customer. Examine why retailers need to understand buying behaviour of customers and understand how social responsibility is a concern of modern retailers. Explore the reasons for stocktaking and the process behind one. Understand why we want motivated staff in the workforce and discover the essential training and motivation methods, which can help to achieve this. Learn the meaning of "budget" and learn how to calculate monetary net profit as a percentage of turnovers. No pre-requisite to enrol on to this course. Fast track your career with the knowledge, insight and information you will learn by completing this course. Enjoy the convenience of studying from anywhere at any time, using any device. At the end of each unit there is a multiple choice question assessment, which is a great way to help you remember the main points of each lesson and confirmation that you have retained the essential knowledge. Once you have successfully completed all the modules for your course, you will be awarded a endorsed Diploma. Thank you for requesting our demo course on 'Diploma in Retail Management'.